“Let It Snow! Let It Snow! Let It Snow” was written by lyricist Sammy Cahn and composer Jule Styne in July 1945. This song has become a Holiday classic despite the fact it was not intended as such (it contains no mention of Christmas) and was written in Los Angeles, California during one of the hottest days on record. I don’t know how Cahn and Styne got into the mood, but one of my projects recently had me drawing a fictious 1898 expedition to the North Pole. I was doing this in West Toluca Lake (within the greater Los Angeles area) during a heat wave. My solution was to recite “The Cremation of Sam McGee” while drawing. 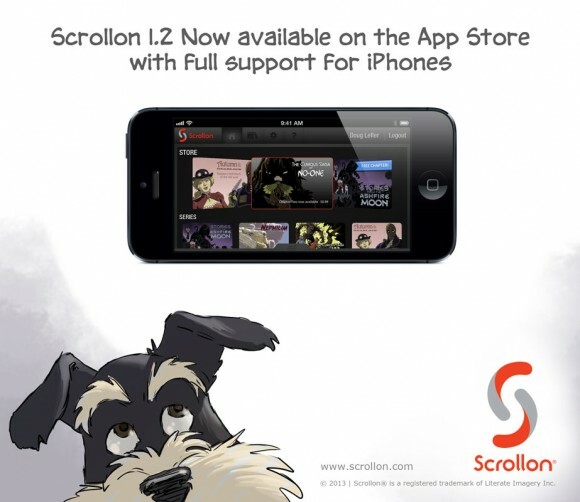 Elsewhere in the news: An update was just released for the Scrollon app which enables full support for iPhones. If you have one, please check it out at http://appstore.com/scrollon. It’s free!